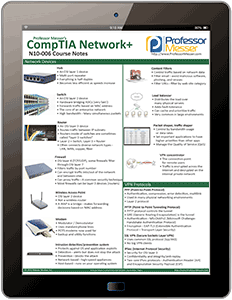 Have you watched my CompTIA Network+ videos, but you’d like to have all of the notes available in one place? With these detailed study guides, you can focus your study efforts and make your study time more efficient! The Network+ exam includes performance-based questions, so getting hands-on experience is more important than ever. Instead of building your own lab, the gtslearning Live Labs provide over 20 hours of online tutorials in your browser!